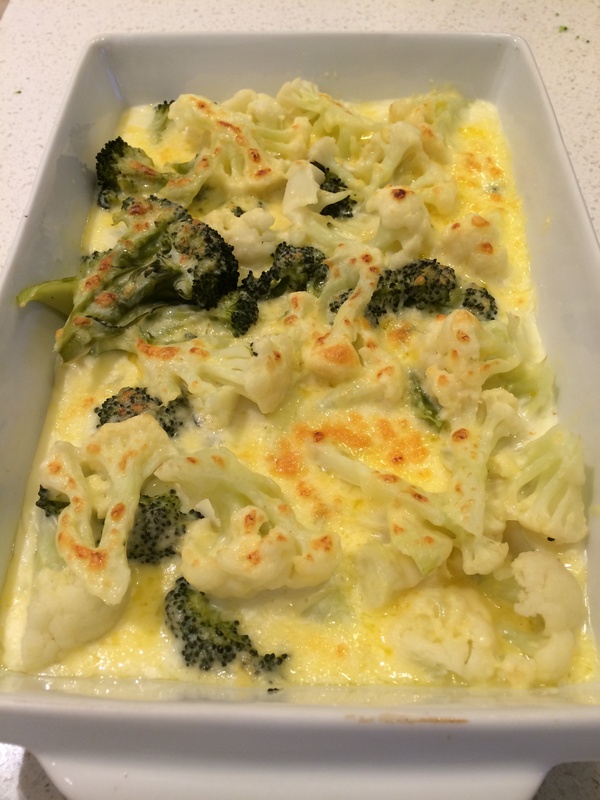 Used the guided cauliflower gratin recipe, it steam veges in Varoma 25 mins. Then white sauce made in 7 mins no stirring. Added grated cheese and grilled for a few minutes to brown the top. Easy side dish that cooks itself.